Made of elegant heavy brocade fabric, this challah cover symbolizes the royalty of the holy day of Shabbat. In the center of the challah cover, a beautifully set Shabbat table with candlesticks and challah bread is embroidered with gold and silver colored thread. Surrounding the table there are four elegant beams upholding a semi-circle shaped canopy with drapes hanging down. 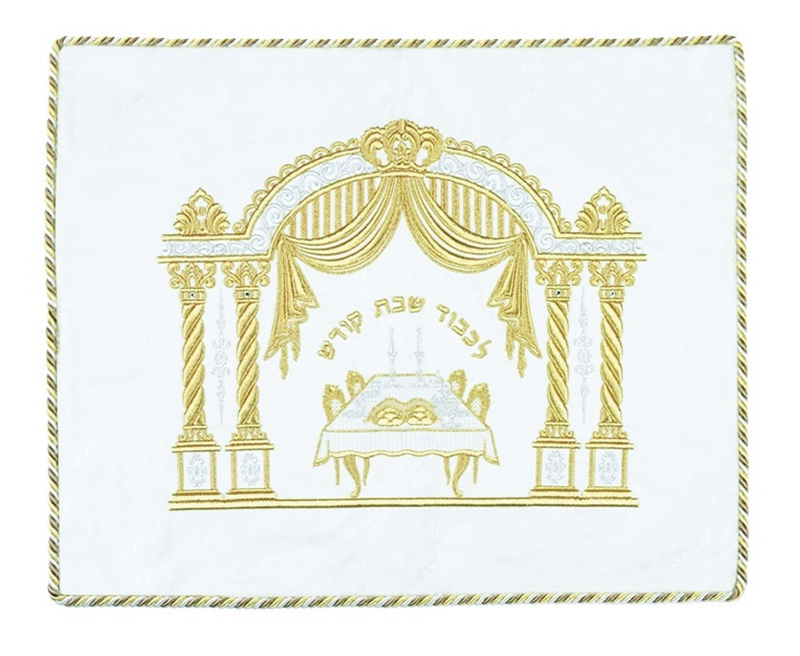 The Hebrew words “Likavod Shabbat Kodesh”, which means “In honor of the holy Shabbat”, is embroidered with gold colored thread above the set Shabbat table. The edge of the challah cover is bordered by an elegant rope trimming.